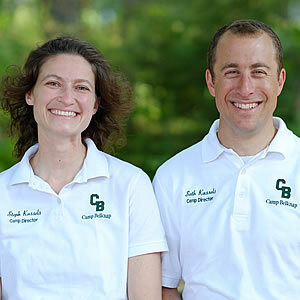 The Kassels, the sixth Directors in the history of Belknap, carry on the esteemed Belknap tradition of family headship. The Kassels have been the Directors of Belknap since 2013, having completed their 5th summer this year. As Directors, the Kassels are honored to be an integral part of the Belknap community. Originally hailing from Amherst, Massachusetts, Seth began his Belknap career as a Middler in 1992. He was an Honor Camper and was awarded the Colin Brown Award as a member of the Leader Corps. He advanced through the Belknap leadership system, serving as Middler Division Head in 1999 and concluding as Program Director in 2005. Prior to his start as Director, Seth held several entrepreneurial positions in the field of renewable energy, including serving as a co-founder and VP of a utility solar energy company. Stephanie (“Steph”) currently is a Family Nurse Practitioner and Doctor of Nursing. As a specialist in the field of pediatric diabetes care and research, she has worked with some of the top diabetes centers in the country and has multiple publications including the New England Journal of Medicine. Steph attended overnight camp in her youth as well as professionally leading and directing wilderness trips. Steph first visited Camp Belknap in 1999 and shares Seth’s passion for its spirit, culture, programs, and natural beauty. The Kassels met as undergraduates at Colorado College and both earned advanced degrees from the University of Colorado. They are avid hikers and campers and have led numerous youth-group back-country expeditions. Their two sons, Noah (age 8) and Tobin (age 6), bring joy and energy to their home. The Kassels reside at Belknap year round. They are active members of the Tuftonboro/Wolfeboro community where they both sit on boards of local non-profits and coach youth sports teams. Dave Irwin is the Assistant Director/Leadership Director at Camp Belknap. In this capacity, he is Acting Director when Seth and Steph are out of camp and he is the head of Belknap’s celebrated Leadership Program. During the summer, Dave works closely with the leadership to provide feedback and help them grow as Leaders. He has completed his 25th year at Belknap. Dave was previously a Cadet Leader from 2000 through 2002 and served as the Middler Division Head for 2003 and 2004. He was then a member of the Program Staff from 2005 through 2013, acting as Program Director during 2005-2012. In the “offseason”, Dave is the Co-Director of Secondary School Counseling at The Fenn School in Concord, MA. He received his B.A. in American Literature and Civilization from Middlebury College and he attended Harvard University to receive his Ed. M. in School Leadership. Dave lives in Concord, MA with his wife, Mandy, and their daughter, Willa. Chris Thurber, known as “Thurbs”, is an Executive Advisor for Camp Belknap. Chris has served Belknap for 37 years. After three years as a camper (1980-1982), Chris returned as an LC, LIT, leader, and Middler Division Head (1989-1992). He served as Waterfront Director from 1989 to 2013. Chris received his undergraduate degree from Harvard University (’91) and PhD in psychology from UCLA (’97). He is a psychologist and instructor at Phillips Exeter Academy. Chris has written widely in the academic and popular press on issues related to youth development, homesickness, and leadership. In 2000, Chris co-authored (with Belknap alum and Belknap Board Member Dr. Jon Malinowski) the best-selling Summer Camp Handbook, a preparatory resource for new camper families. He also designed and hosted the American Camp Association’s homesickness prevention DVD, called The Secret Ingredients of Summer Camp Success. Chris lives in Exeter, New Hampshire, with his wife Simonida, a chemist and musician, and his boys Dacha and Sava. Both boys love their time as Belknap campers each summer. 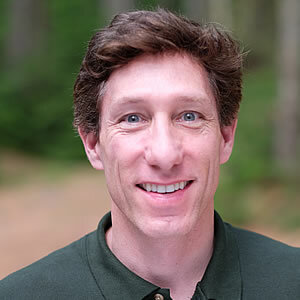 Geoff Masland is the Advancement Director at Camp Belknap. 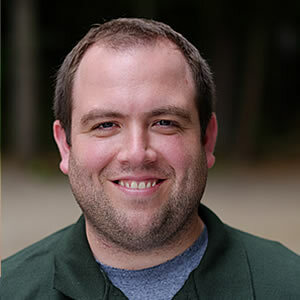 In this role, Geoff is the key liaison with the Belknap community to fulfill the vision of Belknap’s Strategic Plan of protecting, preserving, and strengthening camp for years to come. Geoff returned to Belknap after a decade of work in sales, marketing, and growing companies. Most recently, Geoff was CEO and co-founder of Oxbow Brewing Company, which Geoff grew to a staff of 25 employed at multiple facilities throughout Maine. The businesses that Geoff helped launch continue to thrive. Geoff received a BA from Colorado College. The summer of 2017 was Geoff’s 16th at Belknap. Starting as a Cadet in 1990, he was a camper in every division before becoming a Leader, Middler Division Head, and Leader Corps Director in 2003 and 2004. Geoff and his wife Dash reside in Yarmouth, Maine, with their sons Griffin and Lyle, future campers. The Maslands live at Belknap during the summer months, bringing spirit and energy to the Belknap family. Kyle John is the Operations Manager at Camp Belknap. He takes care of everything from handling all procurement, IT, operating the camp store, keeping camp up to date with permits, and program duties. He also runs the Belknap Online Store during the holidays. Kyle just completed his 25th summer at Belknap. He began as an eight-year-old camper in 1993, was a Cabin Leader in the Cadets and Middlers from 2004-2008, and served as the Junior Division Head in 2009. From 2010 through 2014, Kyle was part of the Program Staff and was Program Director for 2013-2014. Kyle is currently pursuing a degree in Information Technologies at Southern New Hampshire University. Kyle lives in Wolfeboro, New Hampshire. In addition to serving as camp’s year-round Communications Manager, Tom Wraight acts as Waterfront Director in the summer. As Communications Manager, Tom handles alumni outreach, fundraising initiatives, publications, and Belknap’s social media presence. During the pre-season, he helps train all of Belknap’s staff on waterfront safety. He has completed his 17th year at Belknap. Tom was previously a Cabin Leader in Middlers and Seniors from 2007-2011. He served as the Middler Division Head in 2011. In 2012, Tom joined the Waterfront staff, first as the Co-Waterfront Director from 2012 through 2013. He served as the Waterfront Director from 2014 to 2017. Tom is the Assistant Coach of the Oyster River Otters swim team in Durham, New Hampshire. He swims and competes in triathlons in his free time, and enjoys playing music both in camp and at home. He is currently pursuing his B.A. in Secondary English/Language Arts Education at UNH-Durham. Tom lives in Dover, New Hampshire. 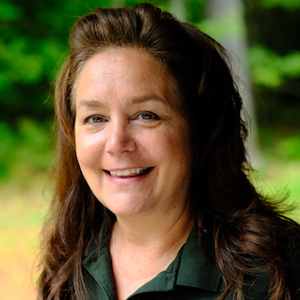 Linda Gonya is the Registrar/Administrator for Camp Belknap. In this role, she manages and coordinates the main office, providing assistance to the Co-directors and family relations with registration and check in/out process. She has completed her third year at Belknap. Linda is a qualified Medical Assistant/Health Administrator and holds an Associate of Science degree from Hesser College. She is no stranger to camp life, having spent more than 10 years with The Boy Scouts of America as a Leader and Committee Chair where she held registrations, kept records of awards/achievements of scouts, planned outings, and coordinated fundraising. Linda has a son who has been both a camper and leader for 9 years. Linda is a mother of three sons and lives in Wolfeboro, New Hampshire. Seri Bowley is the new Camp Administrator of Belknap, taking on that role so Linda Gonya can focus purely on being the Camp Registrar. She works in the offce with our Directors and the Development team. Even though she is new to Belknap, Seri has lived a mile and a half from Belknap for the last 15 years. A native of Chicago, Seri now enjoys the spirit of a small town life style. Before moving to New Hampshire, she sailed to various ports around the world as a Deck Officer aboard different types of cargo vessels. She is a graduate of the United States Merchant Marine Academy and is a retired Lieutenant in the US Navel Reserves. Seri lives in Tuftonboro with her husband, their 2 children, ages 9 and 7, a black lab, and 20 chickens. She’s active in the community and is a Tuftonboro Girl Scout Leader. Seri enjoys to be outside tending to her large vegetable garden. Nate is the Facilities Director at Camp Belknap. He is responsible for the upkeep and improvements of camp’s physical plant and property, which can be as simple as moving a rock or as complicated as making sure water keeps flowing through camp. He spent seven summers under the pines as a camper, concluding in 2003. Nate received a BS in Oceanography from the University of New England. Nate spent nearly 3 years in Saudi Arabia, at first building, then managing the operation and maintenance for an Oceanographic Research Center’s Aquatic Life Support System. He resides in Tuftonboro, NH with his wife, Sunnie, and his daughter, Serenity. 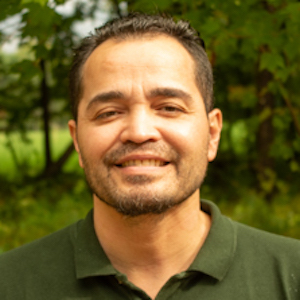 Chef Wilfredo Morales joined the Belknap team in the Spring of 2018 and just completed his first summer as our Food Service Manager. Because of his infectious positive attitude, it did not take long for Wilfredo to fit right in at camp. Wilfredo started his culinary career when he was 16, though his love and passion for food came from his grandmother “Josefina”, who taught him to respect food. After working in restaurants and the hospitality industry for over 10 years, he enrolled in the culinary program at The Art Institute of Ft. Lauderdale, where he tutored under Master Chef Klaus Friedenreich. Wilfredo also worked with celebrity chef Jean Pierre. Wilfredo is a talented and devoted chef and we are proud to have him on the team. 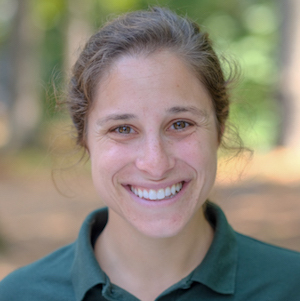 Jaime Fahy is the Nurse Practitioner at Camp Belknap this summer. 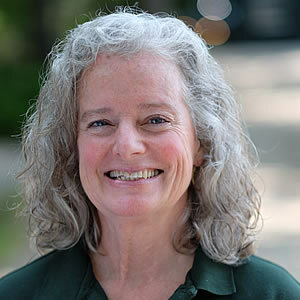 As the camp provider, she is responsible for the health and safety of the campers and staff of Belknap. This is her second summer on staff. Jaime is an experienced Family Nurse Practitioner and graduate of George Washington University with a Masters in Nursing. During the off-season, she practices in an adolescent and young adult health clinic in Washington, DC. She loves all things athletic and outdoors. Jaime and her husband, Jason, live in Vienna, Virginia with their two Belknapper sons Quinlan (12) and Campbell (10). Annie Gillespie is the Nurse Manager at Camp Belknap. In addition to taking care of our campers and staff members, she helps coordinate work and schedules with the rest of the nursing staff, and is in charge of training our staff before camp officially starts. Annie has completed her 4th summer as a staff member at Belknap. Annie became a Registered Nurse in 2004 and has worked with patients across the age spectrum. She has been a Hospice Case Manager since 2011. She was familiar with Belknap long before joining the Belknap staff. Two of her sons spent many summers at Belknap as campers and now has a grandson currently attending. Nick Nowak is currently the Program Director at Camp Belknap. He has completed his 16th summer at Camp. Nick was previously a Cabin Leader in Besserers and Seniors from 2009 through 2011. He served as Besserer Division Head in 2012, Senior Division Head in 2013, and served as Leader Corps Director from 2014 to 2017. 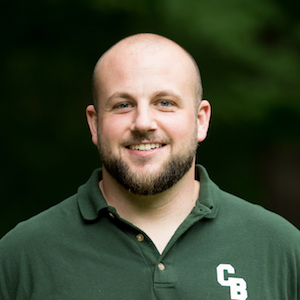 Outside of camp, Nick is a History Teacher at Cardigan Mountain School in Canaan, New Hampshire and serves as the Dean of Student Life. He was previously a member of the History Department at the Hyde School in Woodstock, Connecticut. Nick received his B.A. from Colby College and is currently pursuing a Masters in Educational Studies from UNH. Nick lives in Canaan, New Hampshire. 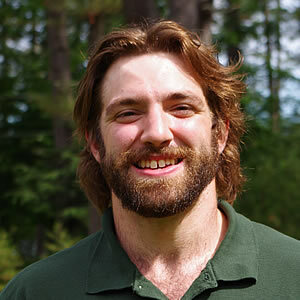 Adam is the Co-Waterfront Director at Camp Belknap, overseeing the safety and enjoyment of all activities on the water. Adam spent seven years under the pines as a camper starting in 1992 and another seven years in the leadership. He was a leader in the Middler and Senior Divisions and was the Besserer Division Head. Adam also spent time on the program staff and was an Assistant Waterfront Director in 2005. 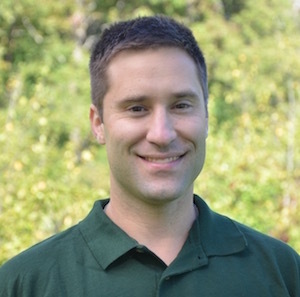 Away from camp, Adam is the Athletic Trainer at Burke Mountain Academy. He works with alpine and nordic athletes, preventing, evaluating, and rehabilitating athletic injuries. Adam lives in East Burke, Vermont where he loves to be active and outside with his wife Alexandra, their daughter Mabel, and son Bo. 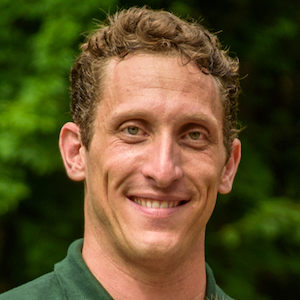 Rory Germain currently serves as Camp Belknap’s Nature Director. He oversees every aspect of Belknap’s nature program. 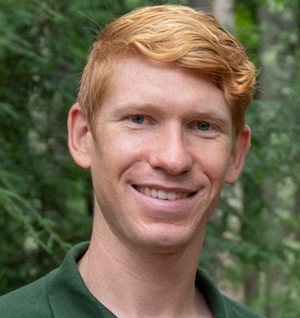 Given his knowledge and interest in the natural world, Rory will be working to make sure that the nature program will thrive for future generations of Belknappers. He has completed his 19th summer at Belknap. Rory was previously a Cabin Leader in Cadets from 2008 to 2011 and served as the Cadet Division Head in 2012 and 2013. He was then part of the Program and Waterfront staff in 2014 before becoming Program Director in 2015. 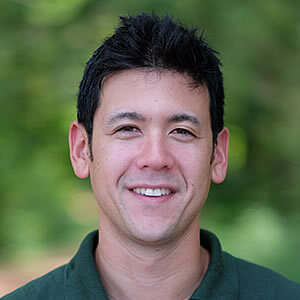 Rory now serves as the Nature Director and Assistant Waterfront Director. 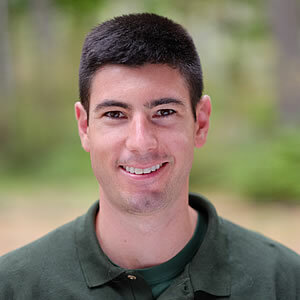 Outside of camp, Nick is a Science Teacher at Cardigan Mountain School in Canaan, New Hampshire. Rory lives in Canaan, New Hampshire. 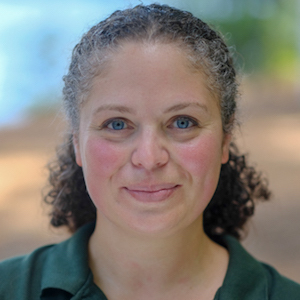 Julie Levine is Belknap’s Trips Director. She will oversee all of the hikes and boat trips that campers will take this summer, as well as coordinate campouts on camp property. This is her 3rd year on staff, serving in various roles before becoming the Trips Director. Julie grew up in New Jersey with her parents and sister. She ventured off to Maine for college and hasn’t left New England since. 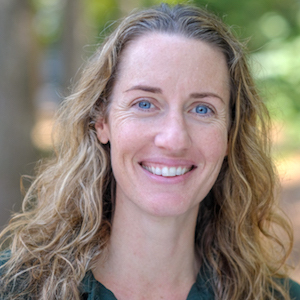 After graduating from Colby College with a degree in psychology, she continued to lead biking, hiking, and canoeing camping trips for teens in the summers with Apogee Adventures and The Chewonki Foundation. Julie spent three winters teaching Pre-K through 6th grade science at Pine Cobble School in Williamstown, MA, before transitioning to New Hampshire. For the past two years, she has taught 6th grade math and science. She lives in Canaan, New Hampshire.